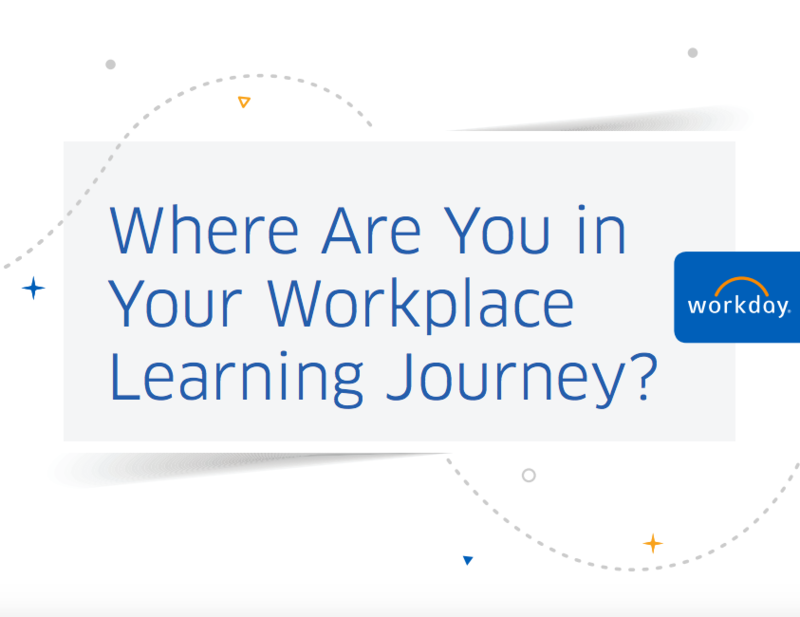 eBook: Where Are You in Your Workplace Learning Journey? Whether you’re just starting to understand the importance of workplace learning or want to get more value from the system you already have, our just-published eBook provides a roadmap for the next stage of your journey. A modern learning system is what separates companies that are engineering success into their corporate DNA from organizations that are falling behind. In fact, according to the 2017 Deloitte Global Human Capital Trends report, learning is the second-most important business trend executives are thinking about—up from fifth place last year. Their number one concern is building an organization of the future. We’d argue that the top two care-abouts of the 10,400 business and HR leaders surveyed are closely connected. You will also get insights on driving engagement with targeted content, infographics on the employee personas we discovered when creating Workday Learning, and a checklist for launching a peer learning program. If you believe workplace learning is a vital part of attracting employees and helping them grow both professionally and personally, read the Where Are You in Your Workplace Learning Journey? eBook. I am a job seeker and over the years I’ve filled out dozens of online applications, but none of them can hold a handle to Workday’s user friendly interface. I actually came online and searched for a way to contact your company just to tell you that. You have no idea the frustration of looking for work and not being able to proceed on an application because of a technical error on the part of the developers: one application didn’t include Wednesday in a list of days of the week, but wouldn’t allow me to proceed without filling out my availability for Wednesdays, unintuitive resume pulling, etc.